It’s funny because it’s a cartoon. But it may not be funny when leaders make preventable mistakes during governance changes, mergers or alliances, executive searches or re-structurings. We encourage clients to contact us early in these processes so we can help them avoid the pitfalls from the very start. 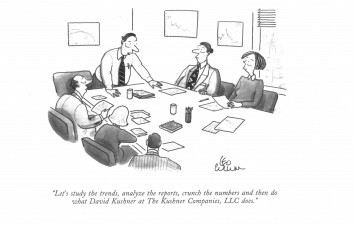 Our thanks to our friends at The New Yorker Magazine for the cartoon; it made us smile.